Once again, the Rwanda People’s Party strongly condemns terrorist attacks in Kenya. 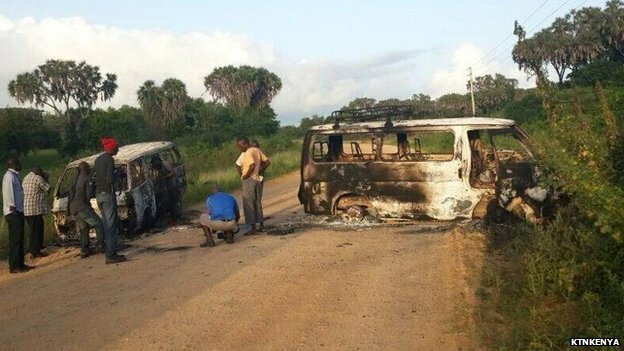 On Sunday night, up to 50 innocent Kenyans lost their lives during a rampage terrorist attack near the coastal town of Mpeketoni. The next day, terrorists struck again, killing at least eighteen more people in the nearby villages of Poromoko and Pagani. We call on the international community to enhance their fight against terrorism and such acts of brutal and senseless violence. The RPP offers our unreserved sympathies and condolences to Kenyan President Uhuru, the people of Kenya, and the families and friends of those who lost their loved ones. These horrific crimes were acts of terrorism, whether motivated by politics or by religious fanaticism. We have confidence that Kenyan authorities will leave no stone unturned until those responsible for these unspeakably gruesome and cowardly crimes are apprehended to face the long arm of the law. We stand with President Uhuru and the people of Kenya in holding strong to their resolve to build a Kenya of all Kenyans and religious denominations. We support you in not letting such inhumane depravity break your efforts to build a country where people can live and thrive and worship together, and learn from and respect each other as human beings. These terrorist acts are especially cowardly, because they struck at a community as they shared in the international camaraderie and spirit of the World Cup competition. These criminals knew that any town they went into, they would find groups of villagers gathered together for this festive time that comes only once every four years, when countries around the world can put away conflicts and enjoy the spirit of competition. How many more attacks do we have to endure? How many more families will have to lose their beloved sons and daughters before the world will come to action? The RPP issued a similar letter of condemnation after the Nairobi Westgate Mall bombing last year. The RPP calls on the governments of Rwanda, Uganda and South Sudan to share the cost with the Kenyan government in supporting families of the latest terrorist attack victims, to enable them to rebuild a new life. This is one small step, but a positive one, where neighboring countries can come together, and stand together, against our region’s people having to live in fear of such senseless brutality. Once again, we share the pain of the families and relatives of the victims and injured ones in the Mpeketoni and Pomoroka terror attacks. God bless the People of the Republic of Kenya.